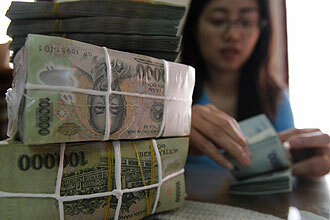 According to a recent Associated Press article, Vietnam received a record $8 billion in remittances last year. One of the reasons for this is that many overseas Vietnamese sent their money to relatives in Vietnam to benefit from the higher interest rates offered by local banks. Another reason mentioned in an interview with economist Nguyen Minh Phong is that more restrictive labor laws in Russia and Eastern Europe have caused many Vietnamese to move their businesses back to Vietnam. There are an estimated 3.6 million overseas Vietnamese, including 1.5 million in the US and 300,000 in both Australia and France. AVietNamNet article reported that the total volume of inflow remittances to Ho Chi Minh City in 2010 exceeded $3.8 billion last year, an increase of nearly 20% over the previous year, according to the Ho Chi Minh City branch of the State Bank of Vietnam. The World Bank ranked Vietnam 16th among 30 nations receiving the most remittances. The VietNamNet article pointed out the advantages of remittances, including minimizing the risks in raising capital and reducing dependence on foreign capital. So where does all of this money go? For historical reasons most of it flows to southern Vietnam and finds its way into savings accounts and new investments, including education. In 2010, Vietnam’s GDP reached $104.6 billion with a per capita income of $1218. This means that foreign remittances accounted for 7.7% of GDP.